Smile your blues away with Tea and Memories afternoon on January 25 | Joining In! 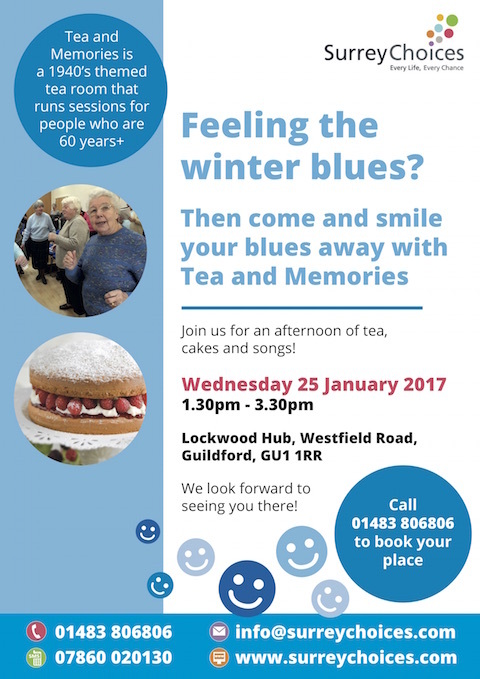 If you’re feeling the winter blues, then why not join Surrey Choices for tea, cakes and songs at its Smile Your Blues Away event. It takes place between 1.30pm and 3.30pm on Wednesday, January 25, at Surrey Choice’s Lockwood Hub, Westfield Road, Slyfield GU1 1RR. Surrey Choices runs regular Tea and Memories sessions during the week for people aged 60-plus in a 1940s-themed tea room. There are visiting guests and entertainers, the tea is always flowing, and they are keen to hear people’s stories and experiences. If you know someone in your community who feels lonely or isolated, they are welcome to attend the Smile Your Blues Away event on January 25 and be introduced to the Tea and Memories service. To book a place, call 01483 806806 or email info@surreychoices.com. 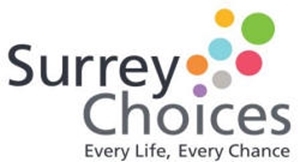 For more information about Surrey Choices visit www.surreychoices.com.